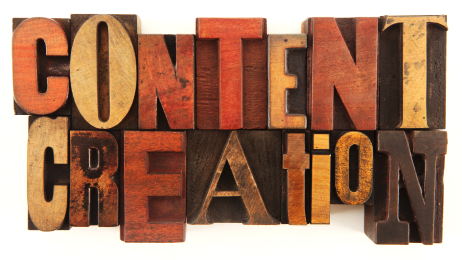 The digital shift over the past 15 years has created a unprecidented demand for content. The value of original and authentic content is evident in the current value of sports franchises, reality television, and app development. We live in a world of social media, on-demand digital access, and 24/7 connectivity. This type of network demands content. With this new demand creates opportunity. Opportunity exists for our students to develop communication skills, literacy skills, and content knowledge that will allow them the opportunity to be contributors in the content era rather than passive consumers. How do we provide our students with the skills necessary to be valuable "content contributors"? How do we prepare them to navigate, manage and authenticate the content available to them? We start by exposure to multiple mediums across content areas. For example, a mathematics teacher considers a variety mediums for content delivery and assessment of knowledge such as direct instruction, video tutorials, case studies, or online discussions. Teachers may provide students with a repository of resources utilizing a learning management system. When we provide students with opportunities to publish and share their thoughts, opinions and final products we begin their journey towards a contribution to global content. It is at this juncture that we should encourage them to publish and to accept and reflect on criticism, commenting and peer review. By developing both their confidence to share and refining their craft of writing and critical thinking we develop the next generation of "content creators". Student publishing is accomplished in a variety of ways. The shift from writing for your teacher to writing for an audience may be stressful for some. Through exposure, positive support, and authentic feedback students may develop a comfort with sharing publicly. Teachers may abandon paper based journals for blogs. Class discussions my transition between the classroom and threaded discussions. Student writing may be shared electronically for peer review. Teachers may connect their students with classrooms around the world or content area experts. These connections might involve collaborative blogging, collaborative authoring, peer view,online discussions, or video conferencing. Having students comment on public blogs, newspapers or writing book reviews on Amazon present authentic opportunities to hone their craft as well.